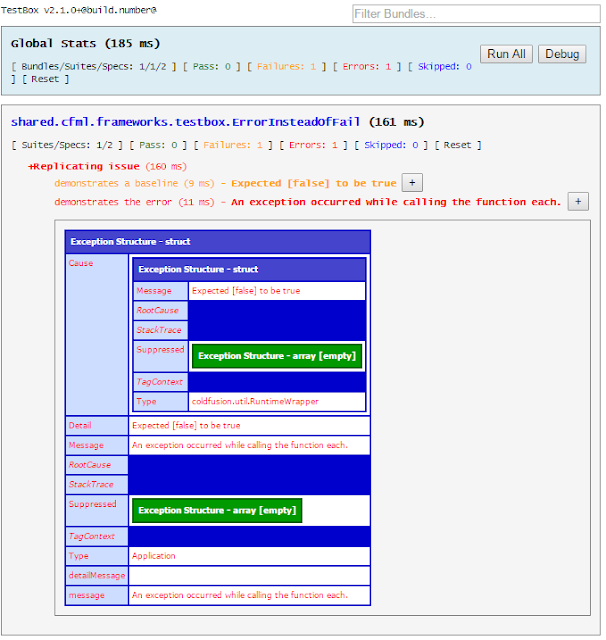 Adam Cameron's Dev Blog: CFML: ColdFusion does some dodgy exception "handling"
I test with a function defined via statement rather than expression. So the problem only occurs when using the object method version of the iteration function, rather than the procedural function version; and whether or not the handler is defined via a function expression or a function statement. ColdFusion has ditched the original type, and is just throwing an unhelpful "Application" exception instead. note my original exception is still here, but buried in the "cause" property of the Application exception. 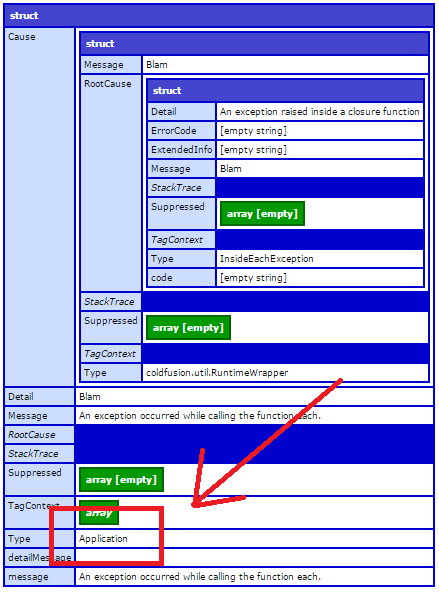 There's no way that ColdFusion should be hiding an exception like this. It's just not on. I'll raise a bug for this (4021994). In the mean time, just be a bit wary of this. It's quite a significant glitch, I think. I hope to elicit an explanation of why they decided to do this too. That should be "informative".